Create a legally binding North Carolina Bill of Sale with our attorney-drafted template! What Is a North Carolina Bill of Sale? A North Carolina bill of sale is a form used to denote the exchange of legal ownership interest in an item. In North Carolina, a bill of sale is used primarily as a personal record. So, there's no need to have it notarized unless the bill of sale is for a boat. What Are Some Common Bills of Sale Used in North Carolina? The most common bills of sale used in North Carolina include a general bill of sale, a bill of sale for a motor vehicle, a bill of sale for a boat, and a bill of sale for a gun. How Do I Write a North Carolina Bill of Sale? Writing a North Carolina bill of sale is surprisingly easy. There's no need for fancy legal terminology. The parties involved in the sale are referred to as the buyer and seller. Every North Carolina bill of sale needs certain information. What sets the bills of sale apart is in how the description of the item is listed. First, you'll learn about the required information for bills of sale. Then, you'll learn about how to properly describe the items. Every North Carolina bill of sale should include the date it was created. This date goes at the top of the document. 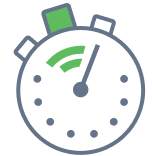 If the buyer plans to pay for the item on a date other than when the bill of sale was created, you'll need to add that date where the price for the item is discussed. Next, you'll list the legal name of both the buyer and the seller and designate who is the buyer and who is the seller. For example, John Smith, seller. You'll add the legal address of each person. Make sure that you use a physical address and not a PO Box. The next element of a North Carolina bill of sale is a description of the item. Then, you'll discuss the terms of sale. For example, if the item is being given as a gift, that would be listed. If the item is being traded, the received trade should be described. For monetary sales, you'd list the amount first in words and then in numbers. For example, four-hundred and thirty dollars and no cents ($430.00). 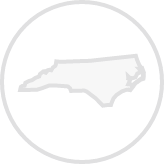 While not a legal requirement in North Carolina, you can opt to include a seller's disclosure. The purpose of a seller's disclosure is to inform the buyer if there are any known defects. It also informs the buyer that the sale is "as-is." This means that there is no warranty on the item that you're selling. Finally, every North Carolina bill of sale should be signed and dated by both the buyer and the seller. A North Carolina general bill of sale is used for items such as patio furniture, designer clothing, jewelry, used electronics, and any item that wouldn't qualify as a motor vehicle, boat, or gun. To describe an item for a general bill of sale, you'll start by determining if the item has a serial number, registration number, or other identifying information (including a make and model). Additionally, you can describe the item by color, size, or material. A North Carolina bill of sale for a motor vehicle should include the make, model, and year of the vehicle; the VIN, and an odometer reading. Only vehicles being purchased from a dealer require a bill of sale in North Carolina. North Carolina provides an odometer disclosure statement that must be used if the vehicle being sold is less than ten years old. You must also complete a damage disclosure statement. A North Carolina bill of sale for a boat should include the vessel registration number; manufacturer; model; year; NC title number (if one exists); and the hull ID. The seller's signature on this bill of sale must be notarized. A North Carolina bill of sale for a gun should include the make, model, caliber, and serial number of the gun. If the gun is being received on trade, the traded items should have an applicable description. Is a North Carolina Bill of Sale Required to Register a Motor Vehicle? A North Carolina bill of sale is only required to register a motor vehicle if the vehicle was purchased from a dealership. For a purchase from a dealership, you'll need a notarized title, a bill of sale that shows the purchase price, a title application, an odometer disclosure statement if the vehicle is less than ten years old, and a damage disclosure statement. Private vehicle sales require a notarized vehicle title, a lien release if there are liens on the title, a title application, an odometer disclosure statement, and a damage disclosure statement. Is a North Carolina Bill of Sale Required to Register a Boat? Yes, a notarized North Carolina bill of sale is required to register a boat. You'll also need to complete a Registration & Titling Application. If the title is lost, the seller can complete a statement of lost title. Is a North Carolina Bill of Sale Required to Register a Gun? This varies from county to county. You should contact the Sheriff's office for your county. 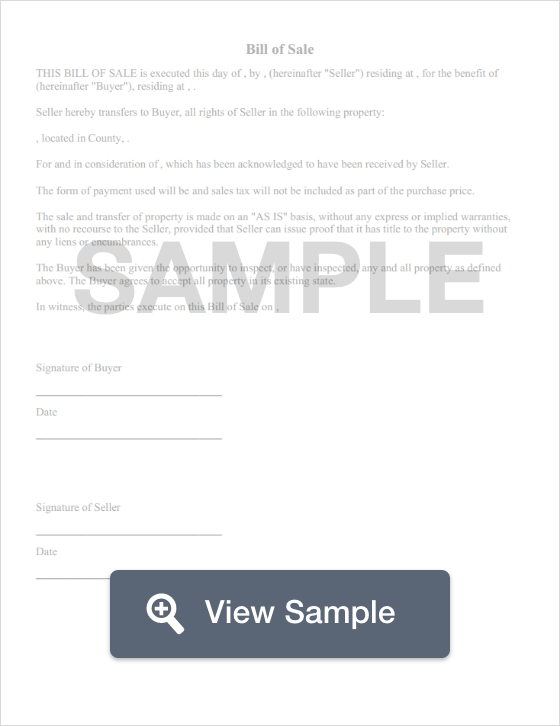 Create a free North Carolina Bill of Sale in minutes with our professional document builder.